Courtesy of Essential Real Estate Services. Rarely available SINGLE STORY HOME! 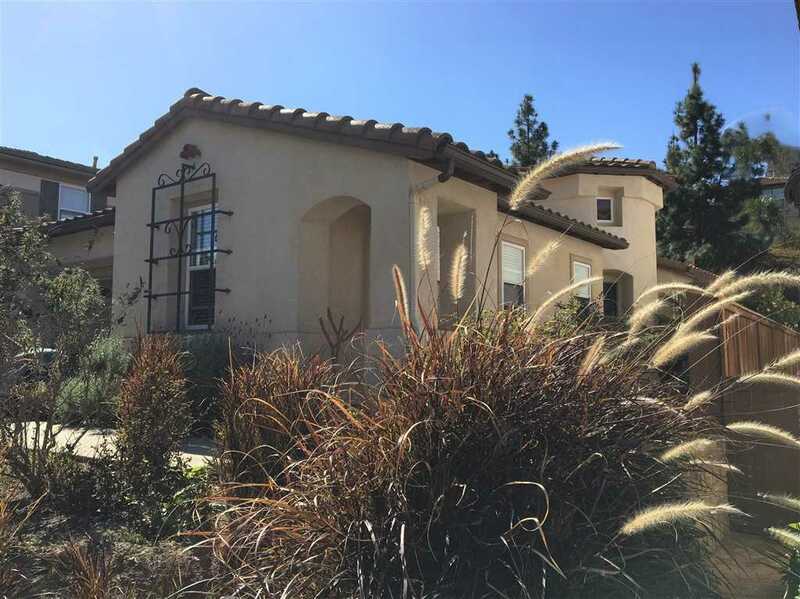 Located in the highly sought after community of Acacia in San Elijo Hills this Great Room floor plan has Travertine flooring, fireplace, center island and walk-in pantry plus a walk-in linen closest. The master has two closets and a sliding door that open to the backyard. One bedroom has double doors and no built-in closet. Walking distance to the town center, schools, grocery, shopping, dog park, miles of hiking & biking trails and Top Rated Award Winning Schools!